The lawyer of Janet Napoles has claimed that the office of the president played a role in a plea to move her to a new safe house. The key figure in the alleged ‘pork barrel scam’ filed motions at the Sandiganbayan [anti-corruption court] seeking a custody transfer from Camp Bagong Diwa following her provisional admission to the Department of Justice’s (DOJ) Witness Protection Programme (WPP). Before doing so, her lawyers apparently sought approval not just at the DOJ level, but right up to the Malacañang. During a hearing on the motion today (Monday, March 19) her lawyer Stephen David revealed that he met with Executive Secretary Salvador Medealdea to discuss the matter. “We are in a situation where we don’t know what to do. Is she being immediately taken out of the facility, or shall we file a motion? That’s why we have to consult people in authority as to what to do,” he said. However, in an interview, presidential spokesman Harry Roque denied that President Duterte was involved in the DOJ’s dealings with Napoles. The Sandiganbayan’s 1st, 3rd, and 5th divisions will decide whether there is valid and sufficient reason to move Napoles out of her regular jail. These are the same divisions handling Napoles’ plunder cases over the alleged pork barrel scam and misuse of Hurricane Yolanda funds. 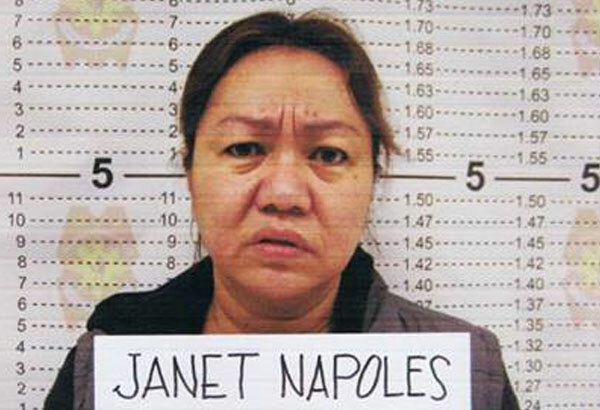 The Ombudsman’s chief prosecutor opposed Napoles’ plea, and questioned her provisional coverage under the WPP. All three divisions gave the prosecution time to file their official opposition to Napoles’ motion. Napoles’ lawyer meantime, claimed the motions were just a matter of courtesy as the DOJ can still have her moved even without the court’s permission. The DOJ is working with her in the reinvestigation of the pork barrel scam, specifically looking into the involvement of allies of the Aquino administration. For a useful background to the Napoles case, read this primer by the Inquirer.